Pirate parties are all the rage right now. This is actually the second Pirate themed party I've put together this year. 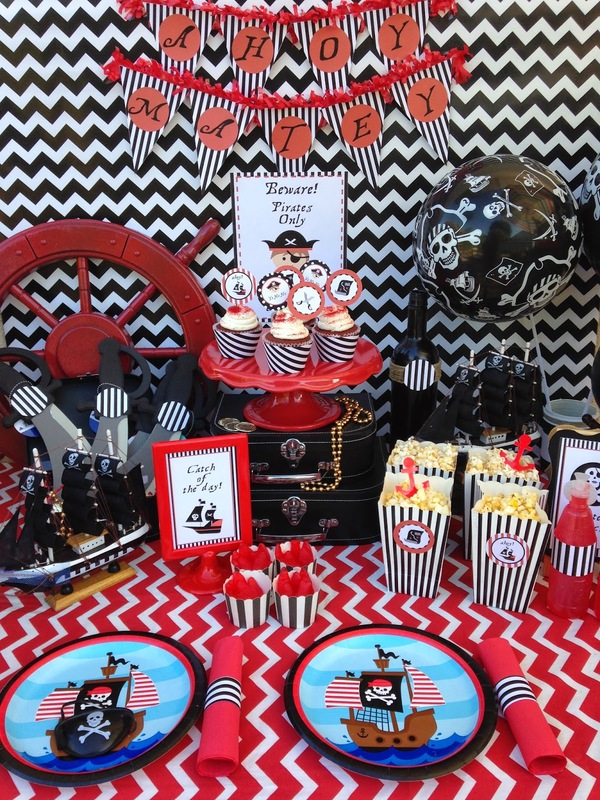 Although this theme is very popular, I love how no two pirate parties are alike. The first thing I started when creating this party was design the party printables. napkin rings, bottle wrappers, and circle tags! I found some cute Pirate themed paper plates at Target that worked perfectly. Plain red napkins were given a little flair, by adding striped napkin rings. I created them with the digital paper. to coordinate with the other ships in the plate, and sign. And be sure to check out all their fun graphics they have available!